This season just continues to get worse for the Cleveland Cavaliers. On the heels of the team questioning Kevin Love on why he had to leave a game recently and essentially blaming him for the team’s struggles, the Cavs will now have to find another scapegoat for the next several weeks. On Tuesday, the Cavaliers were in Detroit to take on the Pistons when Kevin Love got hit on his hand. He knew right away that something was wrong as he sprinted towards the locker room. The news shortly after was very bad. 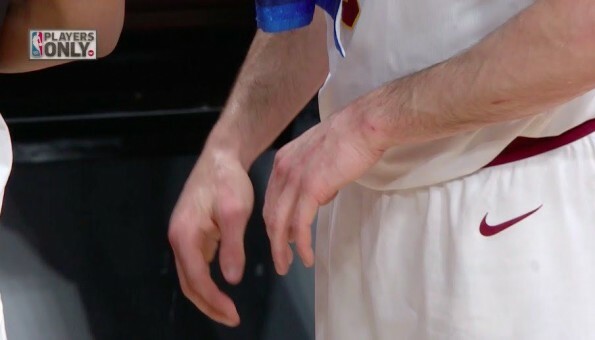 X-rays on Kevin Love’s left hand revealed a non-displaced fracture in his fifth metacarpal.